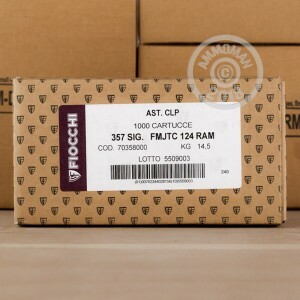 This ammunition from Fiocchi is a high quality range load that delivers the power and accuracy of the .357 SIG cartridge in a cost-effective package. 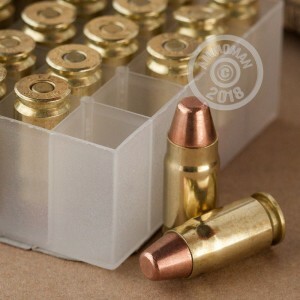 These cartridges come in boxes of 50 and fire a 125 grain full metal jacket bullet at 1,350 feet per second. 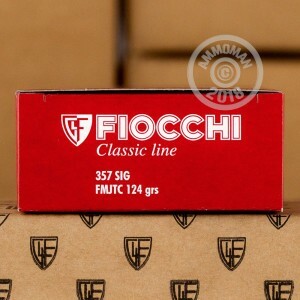 Like other Fiocchi products, these rounds use non-corrosive Boxer primers and brass cases. An excellent practice round for P229s, Glock 32s, and other .357 SIG pistols! Spend more than $99 on a single order at AmmoMan.com to earn bulk savings with free shipping!